I am over at Lee's Freshly Pieced today! Me? Guest posting over there? What is she thinking?!?!??! and quite a few works in progress! And if you are here from over there? I told you that I am shameless about Button pictures...didn't I? I just wanted to share more about his new acquisition from Santa. 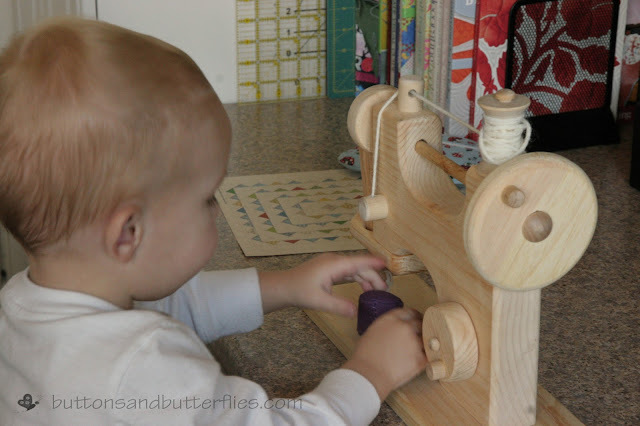 A working wooden sewing machine! Admittedly, he still loves my machine the best for "titchin' kwits"
But the spinning hand wheel keeps him busy as he watches the "needle" go up and down. 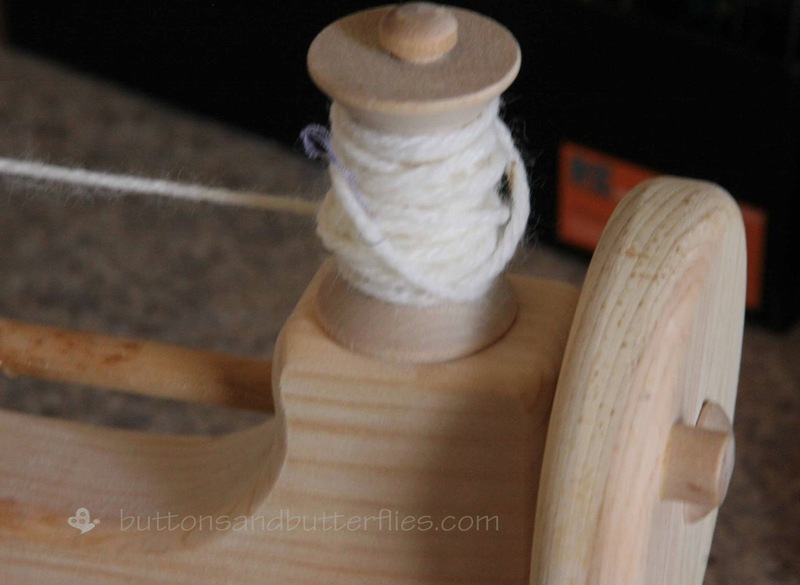 And the spool of yarn is pretty fun to unravel and re-wind. I really think it is pretty cool. And when he tires of it someday? I think it will be a great decorative item. No way am I giving it away! It will be a keepsake to remind me of the days when one of my boys ran from another room when he heard my machine running! In case you are wondering? Santa found it at the online store Wooden Toy Junction. The sewing machine is a pretty reasonable price, in my opinion, considering it is obviously handcrafted. 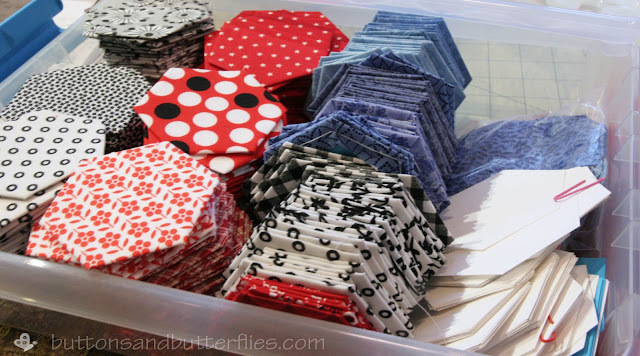 I think we quilters can all appreciate the work that goes into something handcrafted!! There are some great transportation toys and an adorable ironing board I have my eye on too. If you are still here? 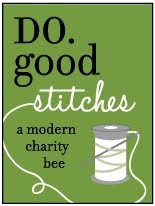 Get on over and read my post at Freshly Pieced, why don't you? 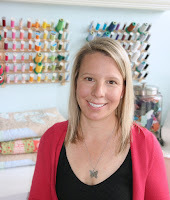 Look at you hosting WIP Wednesday! Congrats and that's some good looking projects! Look at you! Guest post and Button on a sewing machine makes me smile! button is so cute with the sewing machine. I was looking at one kind of like that for baby anna over christmas on etsy. We didn't get it but maybe I should given how much button seems to enjoy it! congrats on the WIP wednesday hosting gig too! Thanks for hosting WIP. I really enjoyed reading about your projects. I especially like the kitchen items for the little one's very own make-believe fun. How special is that! The toy sewing machine is adorable. I think I might even like one of those for my grandchildren or . . . maybe even myself. Super, super cool! 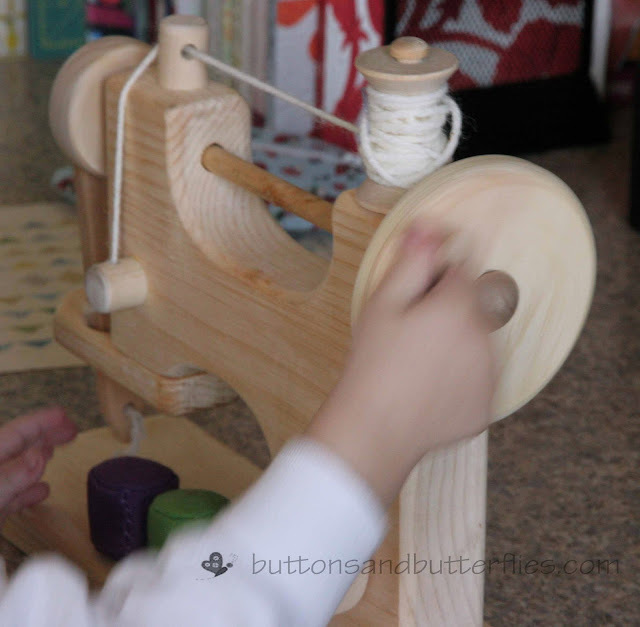 Of course, we all love this little machine and the sweet child who sews beside you, but I also enjoyed reading about all your projects and ideas. 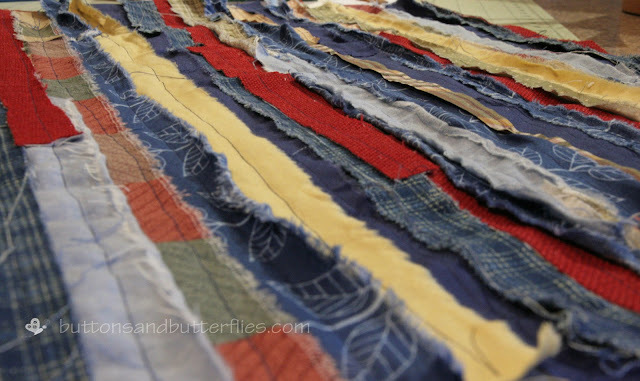 It's fun to have visitors to Lee's blog so we can get to know new quilters and be exposed to new ideas. I did my guest spot in December, and had a good time going around leaving comments. I got a lot of nice letters back from the quilters, so it was an enjoyable experience. I thought your turn at the blog was wonderful. Bravo! I wish I had come across a litle machine like that when my boy was littler! He loves my sewing machine, and I was frustrated that I could never sew with him around as he would want to sit on my lap and watch the needle. While I was happy to oblidge him most of the time, it got quite awkward sitting that far away from the machine with him in between. He now enjoys special sewing time every now and again. My little girl couldn't care less about sewing though - she doesn't mind playing with the fabrics though so perhaps there is hope for her yet. That is seriously the cutest sewing machine ever!!! The wooden sewing machine is just adorable!! You've got me tempted to get one for my little one. I like your scrappy strips which you will make into pillow cases, I look forward to seeing them finished. Love that sewing machine! Too cute! 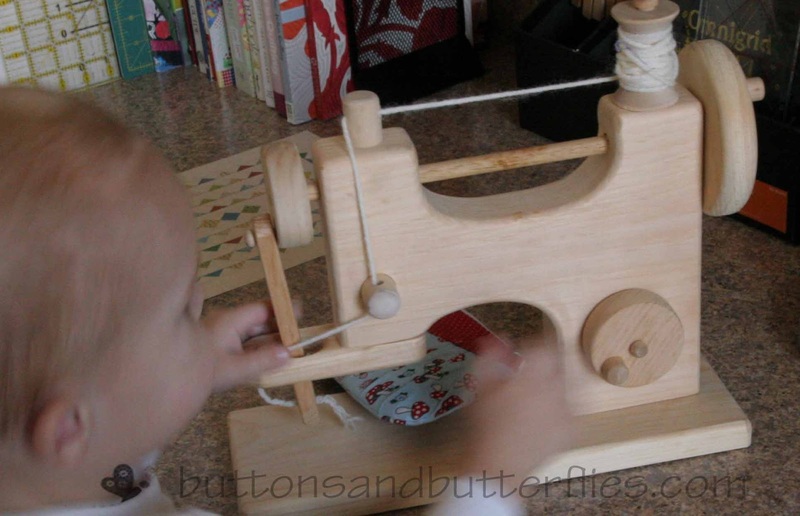 Love the sewing machine - read your post from Lee's blog and had to check out where you got the toy! So cute, I will have to keep in mind for a great gift! Thanks for sharing. I think that my 16 month old would definitely enjoy, as he is fascinated by mine! He still loves mine, but it keeps him busy for a bit!!!!! Thanks for stopping by!